Today I heard about 3 speed fins going into production. This got to be a new achievement, a milestone for speedsurfing. Again prove speedsurfing is alive and back. 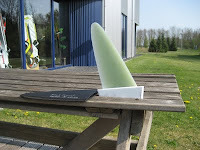 The 3th new speedfin release is a complet new concept. 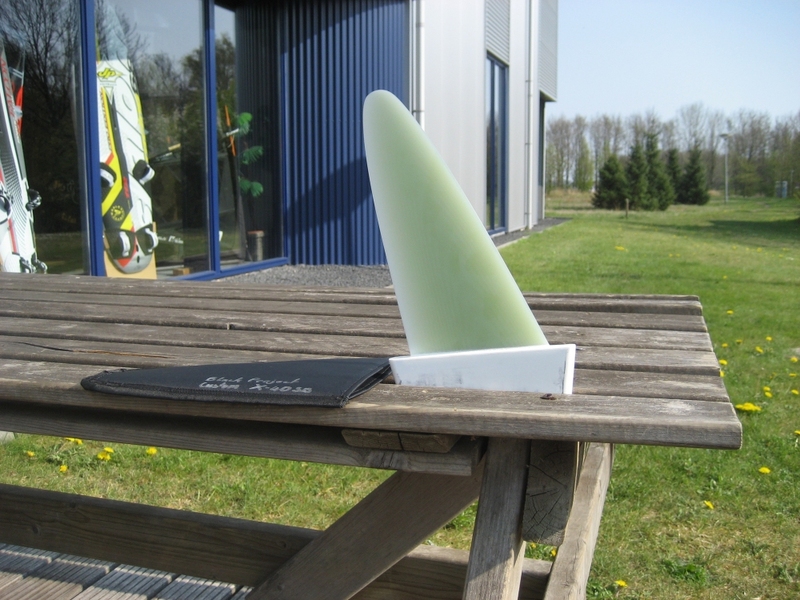 From Black Project Fins. The Type X. Widebase AND asymmetrical, this is new. I don't know really the differences between C3 slingshot and Sonntag GPS_5. 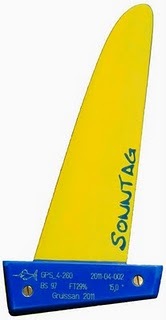 Only a few logical differences... C3 is made out of G10 and Sonntag out of carbon, however on such thick short and widebased fin material doesn't really influence the fin characteristics. Also I guess the profile-thickness should be about the same. But profile, rake and other stuff like lay-up behaviour difference between C3 Slingshot and Sonntag GPS_5 is unknown and ofcourse interesting to test one day. The only thing we did is use the good idea of a widebase and start developing a design (GPS_5) that works in a wide range of conditions and still being competitive. Herefor we used some profile-testing (using different profiles), because outline and stiffness are very limited parameters for the widebase design. The winner was a foil-profile that works in a wide range of angle of attack. 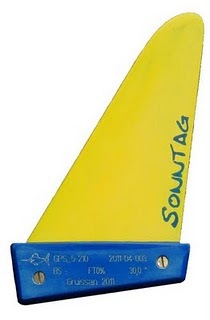 For me the GPS_5 will be the fin when the wind picks up above 30kn average on open spots or 35-40kn average on inland spots. How much do the GPS-5 cost?